The Asylum Seekers Centre and the City of Sydney invite you to join us for a Special celebration of Refugee Week 2018. Edward Santow has been Human Rights Commissioner at the Australian Human Rights Commission since August 2016. Ed leads the Commission’s work on detention and implementing the Optional Protocol to the Convention Against Torture (OPCAT); refugees and migration; human rights issues affecting LGBTI people; counter-terrorism and national security; modern slavery; freedom of expression; and freedom of religion. Maha has spent over three decades working together with the Muslim Women Association to help give Muslim women safety and assurance in difficult and trying circumstances. Today she represents and gives voice to all women abroad as well as in Australia. 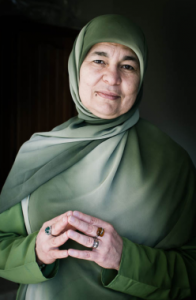 She works at the local, national and international levels advising government on policy, services and strategies to create a harmonious community for future generations of Muslim and non-Muslim women. In 2016 Maha was the NSW Seniors Week Ambassador as well as the BreastScreen NSW Ambassador. 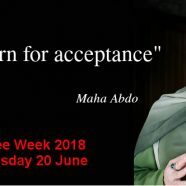 In 2015 Maha was a finalist for the Australian Human Rights Commission’s Human Rights Medal, and in 2014 she was the NSW Human Rights Ambassador for 2014-15. Having lived two thirds of his own life as a refugee, Mahir currently serves as the CEO of Thrive Refugee Enterprise. Thrive provides micro-finance and business support to refugees and asylum seekers in Australia to start new businesses and grow existing ones. Mahir’s current work is focused on highlighting how refugees can contribute to economic growth by creating jobs for themselves and others. Previously, Mahir served as CEO of the National Association of Credit Unions in Afghanistan, worked for the World Bank, UNHCR and was Financial Adviser to the Federal Ministry of Labour in Afghanistan. The Microfinance programs run by Mahir have helped establish a total of 165,000 small and medium business enterprises in Afghanistan that provided a livelihood for nearly 1 million people. Frances Rush is the CEO of the Asylum Seekers Centre based in Newtown. Frances has been associated with the Centre since its inception and was Deputy Chair of the Board prior to her appointment. She brings with her over 30 years’ experience as a social worker in both the government and community sectors and also has a wealth of experience in advocacy and policy development.